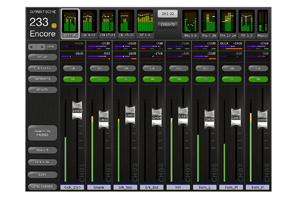 StageMix was initially launched in 2010, allowing wireless remote control of the M7CL digital console’s mixing parameters for the first time. It was followed by StageMix for the LS9 in 2011, and the CL series in 2012. StageMix Version 4 offers numerous new features and refinements for CL, M7CL, and LS9 users, giving them more control and flexibility when working remotely from the console. StageMix Version 4 for CL, M7CL and LS9 users can be downloaded for free from the Apple App Store from May.